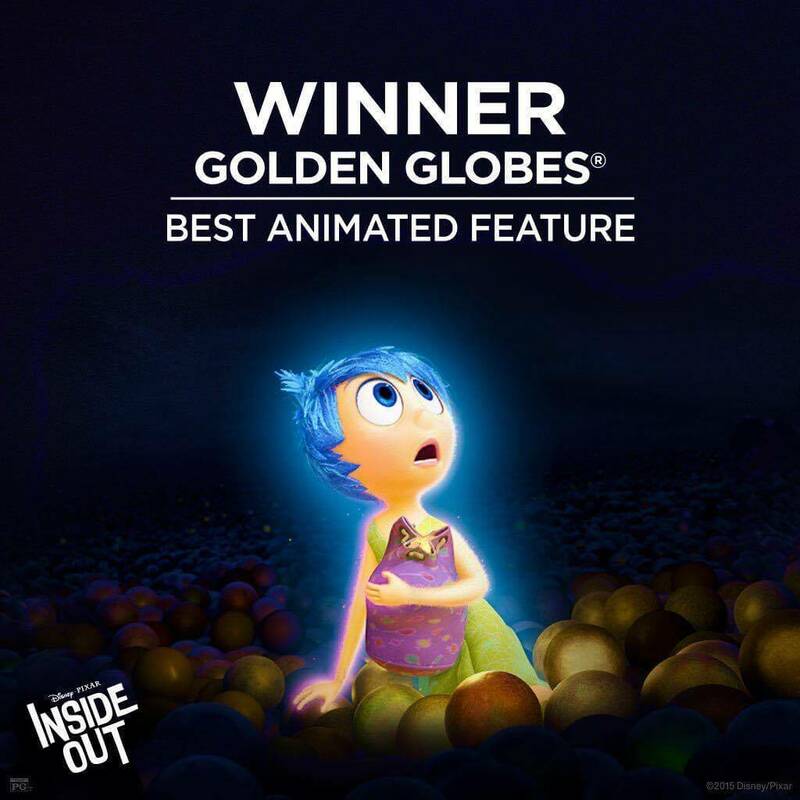 The Disney Pixar film “Inside Out” has been a Goliath on the awards trail. Not only has it picked up support from dozens of critics organizations, but many believe it has a real chance to receive a Best Picture nomination when the Oscars announce on Thursday, January 14th. The Golden Globes continued the trend, awarding Pixar’s first film of 2015 the award for Best Animated Feature. The film continues to build upon Pixar’s impressive record at the Golden Globes, as their 7th win in the category (“Cars” was the first film to win as the category debuted at 2007 Globes). That has also translated well for Pixar, as 6 of those have gone on to win Oscar. Some other happenings occurred during the night in regards to Disney films, as well as it’s ABC. First, “The Good Dinosaur” obviously lost to “Inside Out” which was far from a surprise. I’ve talked to some who prefer Arlo’s story over “Inside Out.” While I very much love the film, this seems inevitable as far as this race goes. While I predicted a bumpy road for the film moving forward, I still stand by my take that it’ll show up on Oscar morning. 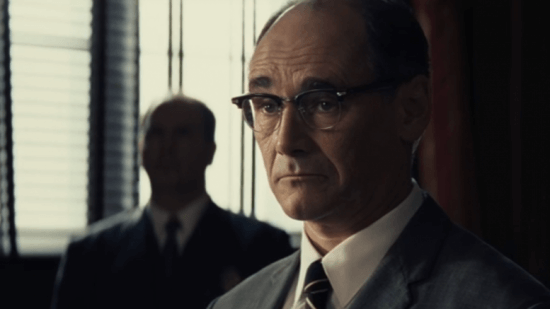 Second, Mark Rylance ended up dropping to Sylvester Stallone for Best Supporting Actor, which was not altogether a surprise. Stallone was phenomenal in the film and the story of him reprising his role from almost forty years ago may carry him to a win. He gave one of the best speeches of the night, which shouldn’t factor in, but let’s be honest, it was humbling and sweet. It’s hard to not root for him. “American Crime” also ended up losing to “Wolf Hall” but I honestly thought that “Fargo” was going to go home victorious. Still “American Crime” also scored nominations for Felicity Huffman and Regina King, who won the Emmy for her role. The show was a surprise hit, and with John Ridley continuing on, as well as Huffman, King, Lili Taylor and Timothy Hutton all returning, Season 2 is likely to receive similar acclaim. Perhaps the biggest surprise for ABC television was Viola Davis’ loss to Taraji P. Henson. This could potentially mean that Davis goes unrewarded for her role as Annalise Keating (if rumors surrounding her potential departure are true). To be fair, she should have won last year’s Golden Globe, and with this awards ceremony covering Season 2, her performance was not quite as strong as Season 1. On top of that, Taraji P. Henson is outstanding on “Empire” making this a 1a vs. 1b sort of situation. Universal also has to be happy with its night. While many had predicted “Steve Jobs” was their horse for the Oscar race, it has been relatively quiet for some time. In fact, they shifted much of their support to “Straight Outta Compton.” That said, the wins for Aaron Sorkin and Kate Winslet had to be nice to see, especially considering each has a chance at a nomination come Oscar day. Michael Fassbender could still show up at the Oscars as well, but that might be the ceiling for the film. “The Revenant” won Best Motion Picture, Drama and its star Leonardo DiCaprio picked up the Golden Globe for Best Actor, Drama and Alejandro González Iñárritu for Best Director. Best Motion Picture, Musical or Comedy went to “The Martian” starring Matt Damon, who also won Best Actor in a Musical or Comedy. Brie Larson won Best Actress in a Drama for “Room” and the Best Actress in a Comedy or Musical went to Jennifer Lawrence for her performance in “Joy”. 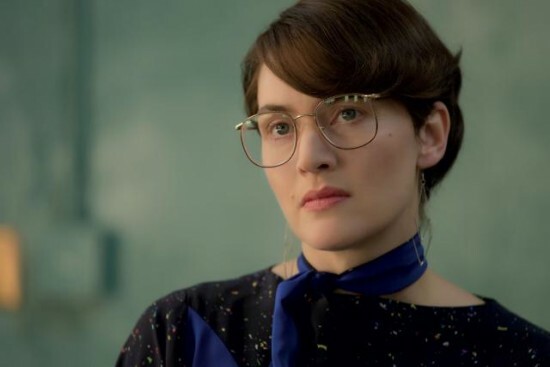 Best Supporting Actress in a Drama went to Kate Winslet (“Steve Jobs”). All in all, it was an amazing night for Universal, and a decent night for Disney. While Disney would like to pick up more steam, the Oscars are where their films are more likely to shine. After all, the Emmy’s gave them several awards, so I’m sure they’re hoping for a similar result with the Oscars. The Academy of Motion Picture Arts and Science announces the Oscar nominees on January 14th, 2016.